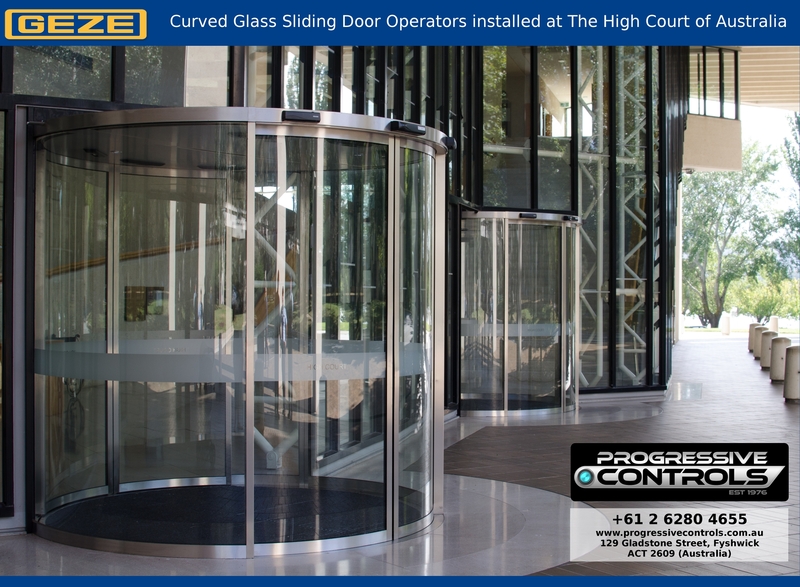 Progressive Controls is a Canberra-based Company supplying and installing Automatic Doors (Sliding, Swing, Revolving & other), Industrial Doors (Rapid Roller, Fast-fold, Bi-Fold), Automatic Gate openers (sliding, swing, and boom gates). We also supply Commercial Door Hardware for Professional Window & Door Manufacturers. 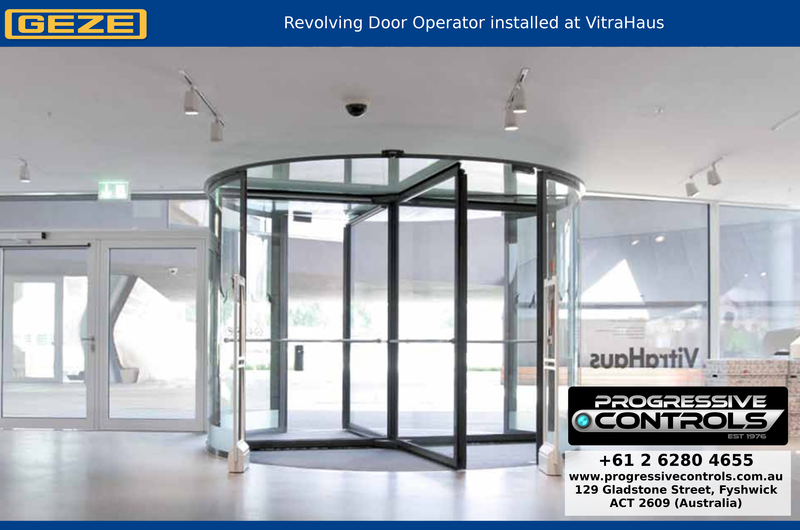 You can purchase direct from the importer when you get auto doors from Progressive Controls. We import GEZE Automatic Door Systems from Germany. Your door’s automation & pelmet is built custom-made to measure here in our Fyshwick workshop and our technical team can install them for you at your building project. Are our Automatic Door systems the best in the world? We firmly believe they are. In Europe, they are multi-award-winning. Just last year, GEZE (Germany) won GOLD in the Architect’s Darling Award for the automatic doors category. The range of GEZE Auto Door Drives includes the SL (Slimline) Drive that has a profile just 7cm in height. In addition to a sleek look that blends well with 70mm aluminium profiles to make it almost invisible, it will move door leaves up to 120kg per leaf. The SL Drive is light enough to be mounted directly to glass. We also use the EC Drive that will also move 120kg door leaves & costs a little less (12cm high profile) and then there is the Power Drive (15cm profile) that moves door leaves up to 200kg per leaf (i.e. 400kg across 2 doors in a bi-parting installation)! GEZE’s range of swing drives are equally impressive, from slimline to high-powered models (in-stock and available now). For Industrial Doors, we can provide and install Rapid Roller Doors using Germany’s best Efaflex or Melbourne-made Premspeed. Whether you have an apartment complex requiring roller doors, a warehouse or an emergency vehicle response depot, you can trust Progressive Controls to deliver a result. We can also install fast-fold doors by Efaflex and Bi-fold doors by ARCO (Australia). In Automatic Gates, we supply and install GDS, DEA and Sun-Power swing or sliding Automatic Gate Systems. We can automate any gate (from regular residential gates through to ‘truck-stopper’ gates at embassies and other high-security locations. Next: Next post: Repair your Conel Keypad? Repar your Conel Electric Chain Winder?